If you’re like most businesses, then there’s a good chance that you offer credit terms to some of your customers. This is known as your accounts receivable or AR as it represents the balance of money owed to a firm for goods delivered or services rendered but not yet paid for by customers. In a perfect world, all your customers would pay their invoices on time or even a little early. But this isn’t always the case. If customers are taking a long time to settle their invoices it means that cash will not enter your business as quickly as you need it to. And, we don’t have to tell you just how important cash is to the day-to-day running of your business as well as its long-term viability. So, how can you properly monitor your AR? One effective tool is to put together an AR Aging Report. As you can see, the AR aging report indicates which invoices you need to urgently follow up on. Most accounting software platforms will allow you to easily run these reports so that you can identify collection issues sooner rather than later and deploy a plan to get customers to pay faster. This is where the services of an online bookkeeper like Remote Quality Bookkeeping can come in handy to take these tasks off your plate. In the meantime, here are some best practices you can begin to implement. As a rule of thumb, the faster you can invoice clients, the faster you will get paid. 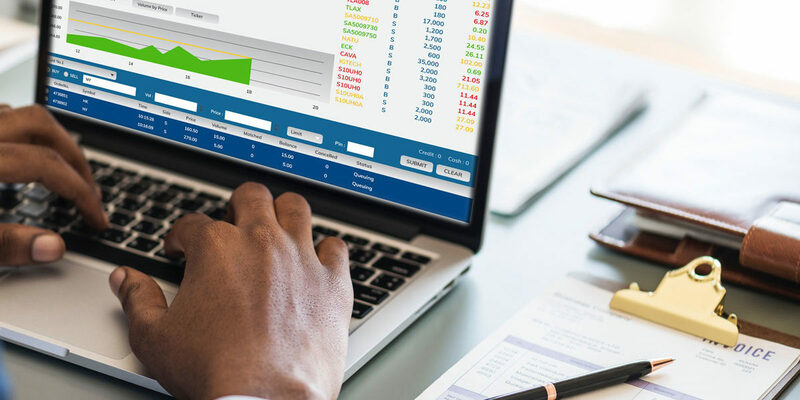 QuickBooks allows you to automatically create and send invoices to your clients saving you time and helping you to improve your cash flow management. The software also provides the ability to keep track of outstanding invoices so you can have real-time visibility when it comes to your accounts receivable. In addition, by automating the invoicing process you can reduce manual error and ensure that your invoices are as accurate as possible before they are sent out. Be sure to communicate payment terms with your customers in each invoice. Net 30 (meaning, your customer has 30 days to remit payment) is one of the most commonly used invoicing payment terms. You can also consider offering discounts to customers who settle their invoices early. For example, with a 2/10, net/30 discount, customers will receive a 2 percent discount if they settle their invoice within 10 days, otherwise, regular payment terms will apply. One of the main pitfalls associated with an early payment discount is that it comes at a cost to your business but in many cases, it is worth it in order to receive the cash flow boost. By examining your AR Aging Report, you can begin to identify “repeat offenders”those customers who are late time and time again. There is no law that says you have to keep extending credit terms to these individuals. In fact, we recommend switching to a cash on delivery (COD) policy for customers who are frequently tardy. Similarly, there’s no rule that says that you have to offer net 30 payment terms. Oftentimes, using shorter payment terms prompts laggards to settle faster. A consistent and methodical approach is necessary in order to improve the collections process. This should include a game plan for negotiating payment plans. RQB will be able to take over these steps to send collection notices to delinquent customers. Credit Cards – Mobile payments solutions will allow your small business to accept credit card payments. The fees are considerable but the tradeoff is that you get paid faster. Other options – PayPal and Square are examples of online payment gateways that your customers might be interested in using. PayPal will also deduct a percentage fee, just like with credit cards, but again it may be worth it to offer this is a payment option. ACH – ACH is the abbreviation for Automatic Clearing House, the vast network that carries out electronic payments in the United States. According to Intuit, “This payment method is similar to receiving a check, except that you’re eliminating paper and automating the creation of a digital account record, along the way.” Unlike credit card or PayPal, you pay a flat fee per transaction making this a much more cost-effective option. Even if you haven’t used ACH in your business as yet, there’s a good chance you have already used it in your personal life, e.g. when you pay a utility bill online and enter your bank account and routing number. You can leverage this same secure gateway in your business operations. “Doing the books” is not something that comes naturally to most small business owners. And this includes being able to optimize accounts receivable. Aside from understanding how to put together an AR aging report, it is critical to turn the insights gained into an actionable plan to speed up collections. Choosing bookkeeping services like those offered by Remote Quality Bookkeeping will help take these tasks off your plate so you can focus your energy on what you do best — delivering superior customer service.